A couple of weeks ago, in “The Fog of War,” I wrote about the long-term, often under-appreciated effects of the First World War. In that post, I promised to feature written Q&A interviews with several of the authors now writing novels set in the 1910s and 1920s, beginning with Hazel Gaynor, whose The Girl from The Savoy was sent to me for an interview at a time when I had no room in my schedule. I loved the novel, and I was delighted when Hazel agreed to answer my questions. 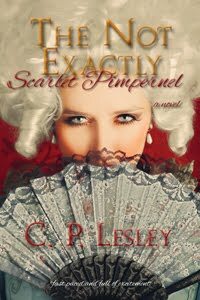 The book went on sale June 7, so don’t miss it or her website, where you can find out more about her and her previous novels. What drew you to the story that became The Girl from The Savoy? The idea came about through a discussion with my editor. We both love the 1920s and I was fascinated by the idea of an ordinary working girl who longed for a better life and who had access to the famous actresses she so admired. The dazzling social scene of London’s iconic hotels during the era felt like the perfect setting for that scenario. When I started researching the history of The Savoy Hotel I found so many wonderful stories of famous people who had dined and stayed there. I imagined the young chambermaids gossiping about the hotel’s guests in their room late at night, and the story developed from there. Tell us about Dolly, your central character—and Loretta, who is in a way her counterpart but has in other ways led a very different life. The Girl from The Savoy tells the story of two women from very different social backgrounds: Dolly Lane, a chambermaid at London’s iconic Savoy Hotel, and Loretta May, a famous actress in the West End. Both are struggling in the aftermath of the Great War, which has left them with secrets and regrets. Dolly is a gutsy, plucky heroine who dreams of a better life for herself. I had such fun writing her. She feels like a real person to me now, and I hope readers will be rooting for her! Loretta’s privileged life is so different to Dolly’s, but when they meet we realize that they are perhaps not so very different after all. I loved writing the exchanges between them. You have two previous novels, A Memory of Violets and The Girl Who Came Home. Where does The Girl from The Savoy fit in that trajectory—or does it? 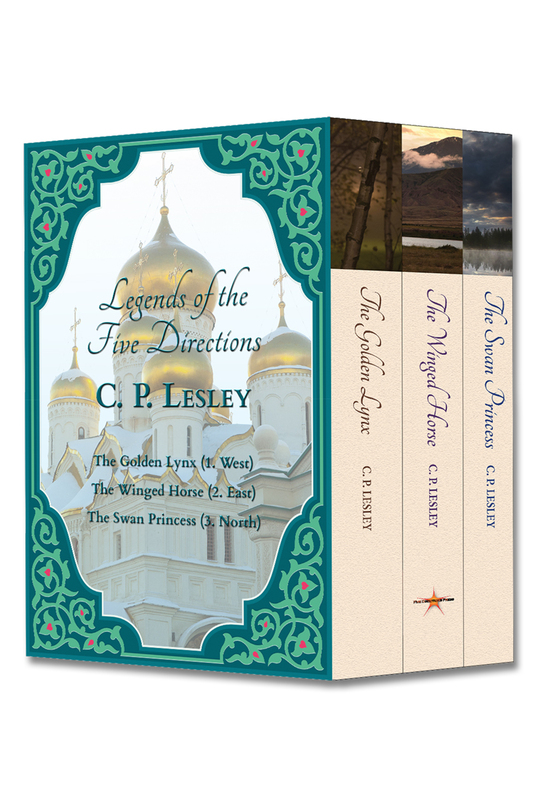 There is no link between the three novels, other than that they are all historical. I’m fascinated by the way people lived in the past, and by the incredible life-changing events that took place in the last 100 years. Often it’s an image from the era, or a person or event I read about that first ignites the creative spark, then I let my imagination take over. My first novel was inspired by the Irish connections to the Titanic; my second by the flower sellers of Covent Garden in Victorian London. The Girl from The Savoy took me into the years of the Great War and the early 1920s, which were both new periods/events for me to write about. I suppose it makes sense that my writing has moved forward a little in time period with this latest novel. World War I, known then as the Great War, is a looming presence in this novel. Everyone is struggling, in some way, to cope with their experiences during the war or the effects (sometimes indirect) of the war. What made you decide to approach your story in this way? During the early 1920s, women’s roles were changing dramatically. War had opened their eyes to new experiences and for many it was nearly impossible to return to a life in domestic service after the relative freedoms of factory or office work. For the social elite, the war had also challenged the accepted social norms for young ladies. Many had worked as nurses and experienced life outside the stuffy confines of their privileged existence for the first time. With the suffragettes fighting for the vote and many women having to manage without their husbands and sons who had never returned, this was a real period of social change and that always allows for great story. The Great War was such a life-changing event that it was impossible to write a novel set in the years directly after it without acknowledging the impact it had on everyone’s lives. 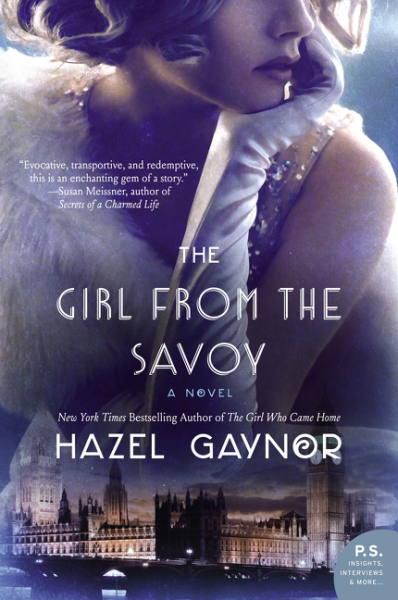 What would you like readers to take away from The Girl from The Savoy? Every reader will take something different from every book, so in a way, it’s really not for me to say! 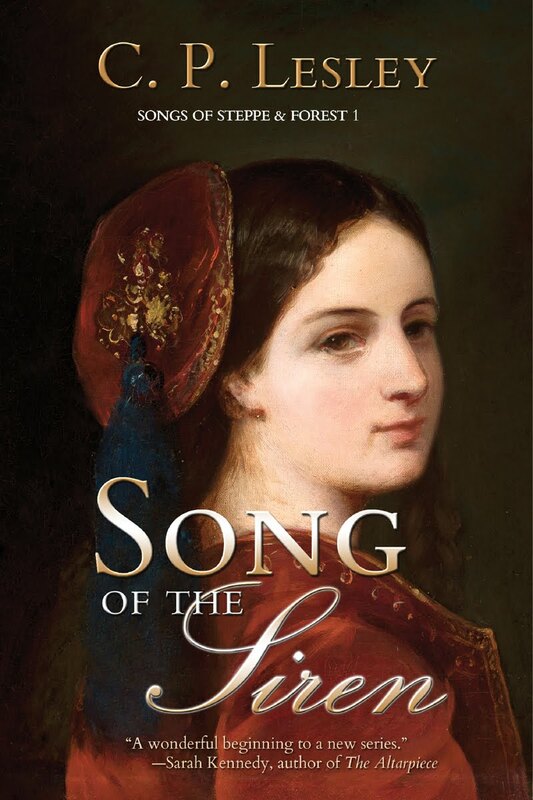 When I read, I love discovering something I didn’t know much —or anything—about, so I hope my readers will experience that through my characters and the historical settings I place them in. Ultimately, I want my books to create an emotional response in the reader as they forget about real life for a while and step into my fictional world. All any writer can do is write from their heart and hope that readers will connect in some way with what they have done. I have two exciting projects underway at the moment! My fourth novel (as yet untitled) is inspired by the true events surrounding two young cousins who claimed to photograph fairies in the village of Cottingley in Yorkshire in the 1900s and convinced men such as Arthur Conan Doyle of their authenticity. Growing up in Yorkshire, this is a story I have always been aware of and one I cannot wait to share. The novel will be published in spring/summer 2017. My other project is a historical novel Last Christmas in Paris, which I am co-writing with the author of Becoming Josephine and Rodin’s Lover, Heather Webb. The novel is a love story—written in letters—about a young English woman and a soldier who promise to spend Christmas together in Paris until the Great War sends them on different paths. It’s such a great experience writing this with Heather. It will be published in fall 2017. For some reason, we subconsciously expect our heroes to be perfect—or at least free of major flaws. Perhaps it is a relic of childhood adoration of the father, a wish fulfillment that we ourselves might attain perfection, or even an unexpected outcome of the universal human love of story. Whether the hero in question is an athlete or a musician, a statesman or a soldier, we find it upsetting to discover that the great man has feet of clay. Thomas Jefferson penned the Declaration of Independence, but his regard for human rights did not keep him from abusing his fourteen-year-old slave girl—who existed outside his categories of those entitled to rights, since she was simultaneously female, African-American, and (in his mind) property. Nor was Jefferson alone in his contradictions. Woodrow Wilson argued for the rights of ethnic minorities yet made racist comments about W. E. B. Dubois. Cecil Rhodes held a dim view of those under his colonial governance. And Johann Sebastian, like most religious Protestants of his day, expressed antisemitic views on more than one occasion, including in his choral pieces. Curiously, heroines tend not to attract this kind of unconditional adoration. As I noted in “First, but not Equal,” female celebrities, especially women in power, more often suffer from slurs on their characters and allegations of adultery, scheming, and murder. That’s why I talked about fathers and great men, above. Of course, times change, and standards change with them. The present exhibits plenty of unfortunate attitudes and behaviors, and the past even more so. Our task is to acknowledge both the virtues and the flaws in our heroes—to see them, perhaps, as evidence of how far we have progressed and how far we have yet to travel. As Lauren Belfer notes in my most recent interview, the question for us is how to interpret flawed genius and react to it. In Bach’s case, the music remains beautiful even when the libretto repels. We must find a way to respect the brilliance of the first as we reject the hatred implicit in the second. It’s May 1945, and a pair of American GIs in occupied Germany find themselves at what appears to be an abandoned estate. When they enter, they discover a resident, reduced to burning valuable books for fuel. Within an hour, the resident is dead and the GIs are speeding back to their camp, a few “souvenirs” in their rucksacks. So begins And After the Fire, the new book from bestselling author Lauren Belfer, whose previous forays into historical fiction include City of Light and A Fierce Radiance. Through the independent but intertwined stories of Susanna Kessler and Sara Levy, Belfer’s third novel explores, among other things, the long history of antisemitism in Europe, beginning in late eighteenth-century Berlin and ending in twenty-first-century Manhattan. The link between Susanna, Sara, and the fleeing GIs is a previously undiscovered cantata by Johann Sebastian Bach, hidden for three centuries because of its offensive and inflammatory libretto. Bach’s missing cantata is fictional, but the questions it raises are very much part of today’s headlines. How do we deal with the reality that greatness and intolerance can exist side by side? How do we cope with the unpleasant relics of our own past? For this reason—and for its compelling portrayal of Susanna and Sara, so alike yet so different, in part because of the times in which they live—And After the Fire is a novel not to be missed. 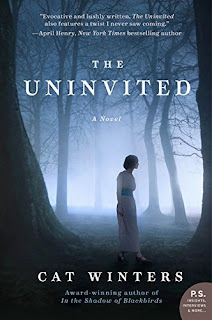 On another note, the four-way post on writing historical fiction that I mentioned last week is now up on the Writer’s Digest blog: Brian Klems, “The Writer’s Dig.” You can find my full original post, with links to the others, at “Party All the Time.” The mixture of styles and approaches is quite fascinating. Thanks to all those involved—especially Brian, for agreeing to publish us, and Kristen Harnisch, for convincing him. Once in a while, things don’t work out as planned. Shocking, I know. I’m sure it never happens to you. And I’m so darned organized, it always amazes me when it happens to me. But sometimes it does. Today’s slot was supposed to be a Q&A with an author whose book I loved. That’s still underway, and I’m sure it will come through, but life—more accurately work—got in the way and I was late sending out questions. 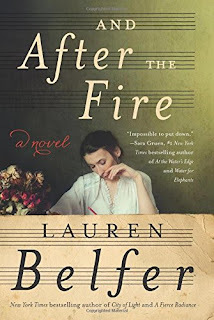 My next New Books in Historical Fiction interview, with Lauren Belfer about her new novel And After the Fire, took place this morning—and came out really well—but even the indefatigable Marshall Poe can’t turn 500 MB of audio into a workable MP3 file at the drop of a hat. So look forward to that link and discussion next week. For a while, I thought I had a backup in the group post I wrote about back on March 31, “Party All the Time.” It’s due to go up on Brian Klems’ The Writer’s Dig any day, but apparently it hasn’t yet. As a result, here I am late into Friday without a proper post to share. One small piece of Five Directions Press news: our own Ariadne Apostolou has revealed a hidden talent (known to her, of course, but previously not displayed to us) and produced the first of what we hope we will be a series of adult coloring pages for her fellow authors at the press. 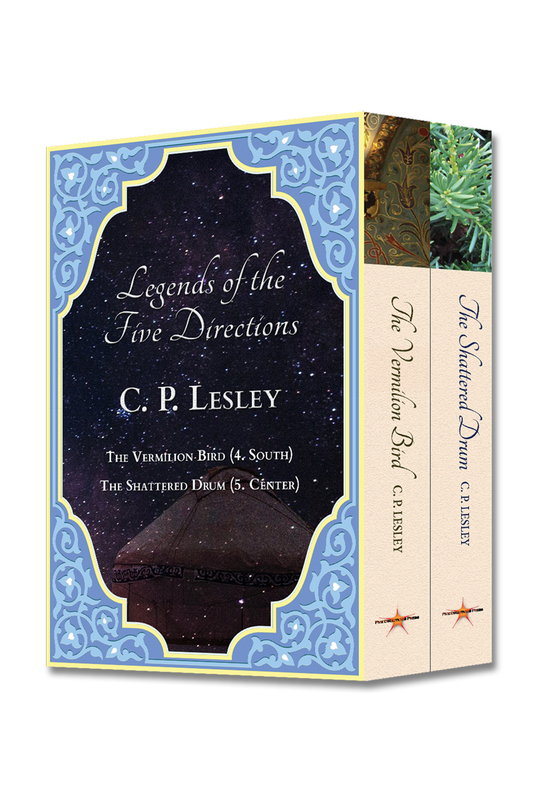 The Legends of the Five Directions series are first, and I can attest that they are gorgeous. To download your copies, all you need to do is subscribe to our quarterly newsletter by going to the opener page at http://www.fivedirectionspress.com. The link will be in your welcome letter. Otherwise, to cut a long story short, I can only write a “treading water” post this week. 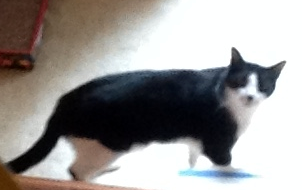 But no fear, I’ll be back next Friday with bells on, as they say. In the meantime, I hope everyone has a wonderful week!